Jimi Hendrix was an American guitarist (1942–1970) who is considered the most influential guitarist in the history of rock music. He has influenced many style of rock music, and his use of distortion and experimentation with more extreme sounds is considered essential to the development of hard rock and heavy metal. Hendrix's band, The Jimi Hendrix Experience, released three albums, and there several releases have been made posthumously. No JIMI HENDRIX online videos available. Search and add one now. THE JIMI HENDRIX EXPERIENCE may have had a short shelf life having only existed for four years and crafting three albums but they really knew how to make things count and take things to the next level on each subsequent release. The final chapter of the power trio that consisted of JIMI HENDRIX on vocals and guitar (and various other instruments such as comb and tissue paper kazoo! ), Noel Redding on bass and Mitch Mitchell on drums resulted in one of the most complex and enduring albums that the late 60s had to offer. In addition to the trio’s dominate instrumental prowess on the third and final album ELECTRIC LADYLAND, there was a whole army of guest musicians and production personnel involved making this one of the most expensive albums to have come out in 1968 and with eleven musicians and vocalists adding touches of flute, saxophone, Hammond organ, piano, 12-string guitar, congas and backing vocals, it’s also one of the most diverse and magnanimous sounding albums of the band’s three album career. Keeping things in the same cosmic flow as their previous two albums, the EXPERIENCE continued in the lines of the psychedelically fueled blues rock that alternated between hard rock, blues and funk that added jazz touches. The indefatigable JIMI HENDRIX himself spent countless hours recording and re-recording tracks and then polishing them into pure perfection to the point where his perfectionist tendencies which coupled with the open invitation for friends to join in on the studio time led to a break in the professional relationship between HENDRIX and the man responsible for his initial success, Chas Chandler. The track “Gypsy Eyes” alone took 50 takes in 3 sessions to record. Despite the magnanimous nature of what went into the recording and production values, ELECTRIC LADYLAND sounds as if it was created in an impromptu performance as it flows fairly naturally from beginning to end, production techniques excluded of course. So fertile was HENDRIX’s output that there was enough material to create a double album and at a playing time of over 75 minutes, was quite the commitment for the fans to wrap their heads around but nonetheless ELECTRIC LADYLAND instantly shot to the top of the charts and generated the band’s only top 40 hit in the US with the Bob Dylan cover of “All Along The Watchtower,” a track that Dylan himself has admitted to being a vast improvement over his original. While the public enthusiastically supported the new album, the critics who had trouble finding a way to relate to the album weren’t so kind but was the decades have elapsed and new generations have discovered the ambitious nature of this album, it has since been deemed one of the greatest rock albums of all time as it effortlessly coalesced the disparate elements of funk, blues, hard rock, jazz and psychedelia under one anthemic banner. ELECTRIC LADYLAND crafted a much denser and sophisticated compositional approach than either “Are You Experienced?” or “Axis: Bold As Love.” While clearly still rooted in the bluesy heavy rock riffing and guitar soloing showmanship style that had propelled HENDRIX into the limelight, the album shows a rock band evolving past the limitations of what a rock band was considered to be and much like The Beatles’ “Sgt. Pepper’s Lonely Hearts Club” which changed the musical landscape the year prior was in the forefront of experimental techniques that included extensive use of backmasking, chorus effects, echoing and flange. Likewise the 15 minute long “Voodoo Chile” presaged the entire progressive rock revolution that would become official once King Crimson launched their ground zero detonating “In The Court Of The Crimson King” the following year. In short, ELECTRIC LADYLAND had the simplicity and hooks to draw in the crowds and the subtle complexities to keep them coming back for more. Eclectic and diverse, ELECTRIC LADYLAND showcased HENDRIX’s own sundry stylistic approaches. While some tracks like “Voodoo Chile” exorcised his deepest inner blues, others like “Come On” focused on R&B whereas “Crosstown Traffic” was more in the acid hard rock camp. “Little Miss Strange” was one of the few tracks to feature Mitch Mitchell on lead vocals and is a strange little 60s beat pop song tucked into the layers of psychedelically tinged externalities that provide the unifying factor. HENDRIX seemed to realize that this would be his magnum opus as his attention to this exhaustive labor of love only became apparent to the world that his works were indeed the makings of a mad genius who ceaselessly toiled over his worktable to create the next addition to his musical canvas. With a message presented in the album’s final track “Voodoo Child (Slight Return)” that said “If I don't meet you no more in this world, then I'll meet you in the next one, and don't be late, don't be late” makes you wonder if HENDRIX didn’t know on a higher level that his days on Earth were limited. Having not been around for the original release of this magnificent album has been one of my biggest hurdles in appreciating its brilliance as i’ve had to work my way back through the timeline to wrap my head around the mindset that launched the whole 60s psychedelic rock scene in the first place. While any progressive rock or metalhead who delves deep enough in the way back machine will ultimately end up here, it does not mean for a second that the album will be regarded in such high esteem. The album has to be not just heard but EXPERIENCED on a higher plane to truly understand. It’s almost a transcendental meditative experience in its own right once the left-brained antics of comparison to those who were influenced by this era are allowed to dissipate. Overall the album comes off as a dream sequence at rock concert where the performers exist in multiple dimensions simultaneously and are able to connect on a cosmic level superseding the 3D limitations of the Earth plane. Something struck a chord with the fans. 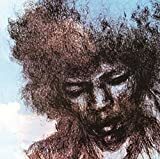 ELECTRIC LADYLAND remains the JIMI HENDRIX EXPERIENCE’s most successful album of the mere three album career and one that may not transcend the time it was created but on the contrary takes the listener back to the best aspects of what made the era so great. At the beginning of 1966, JIMI HENDRIX was struggling to even make minimum wage playing R&B covers. By the end of 1966, he had finished recording his first album “Are You Experienced?” and released it to great success as THE JIMI HENDRIX EXPERIENCE band giving the rock world a must needed kick in the arse. By the beginning of 1967, the band was famous worldwide and penuriousness was replaced by every pressure known to the successful musician and piled upon the trio due to contractual obligations, thus a second album was demanded to be released within the same year of 1967. Sooooo THE EXPERIENCE rushed into the studio and recorded their second album AXIS: BOLD AS LOVE which came out in December, 1967 in the UK but was held back in the US because it was feared it would interfere with sales of the first album, so it was released in May of 1968. Typical record company malarky of the day! AXIS: BOLD AS LOVE basically continues offering the same psychedelic, energetic and innovative blues rock concoctions that HENDRIX was so successful in constructing on album number one with his elegant display of melodic expansion in the most creative ways. The fact that this band so deftly and proficiently pumped out a majorly spectacular array of brilliant songs is a testament to the power of JIMI HENDRIX and explains how he was able to record decades worth of music in a very short time span when new material is still being released almost fifty years after his untimely passing. The tracks on this album were done with a healthy dose of studio recording techniques of the day and as a result most were never performed in a live setting with the exception of “Spanish Castle Magic” and “Little Wing” but THE EXPERIENCE successfully conjured up a brilliant followup to their spectacular ground breaking debut with grace. Neck in neck with The Beatles in innovating rock’n’roll, AXIS: BOLD AS LOVE begins with the lysergic mind expansive trip of “EXP” which takes the art of microphone and harmonic feedback to new extreme levels for the day and simulates a strange close encounter of the third kind with extraterrestrial contact. After this strange album introduction, we get some more familiar HENDRIX action with a psychedelic funk rock narration of concerned extraterrestrial life returning to the Earth concerned of the abuses of the top dog species, namely, homo sapiens and how they are degrading the ecosystems upon which their lives are dependent. HENDRIX was totally in tune with the ecological issues plaguing humankind and was ahead of the rest of the world in adapting these issues to music. That would have made a great concept album actually but the album continues on a track by track basis with each song having its own theme and meaning. Brilliantly THE EXPERIENCE eschews AXIS: from being a clone of “Are You…?” Instead it creates a somewhat similar but more nonchalant way of incorporating the recent upgrades in the rock universe with the usual psychedelic rock guitar riffage of HENDRIX himself with the jazz inspired drum workouts of Mitch Mithcell while the bass guitars of Noel Redding provide the most stable and grounding attributes of the music with the occasional jazz inspired methods as well. The album also adds lots of new instruments to the mix adding a more diverse feel from the debut. HENDRIX contributes piano and recorder, Mitchell adds some glockenspiel and Redding offers his best foot stomping percussion. AXIS: also has the best album cover of all THE EXPERIENCE years releases! 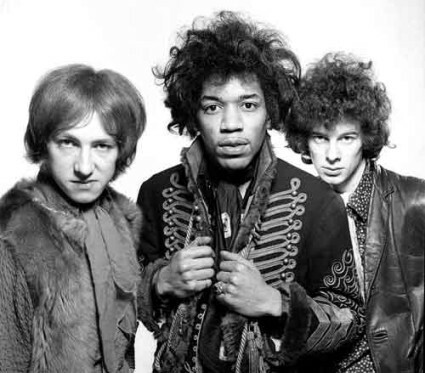 THE JIMI HENDRIX EXPERIENCE is certainly an archival type of band beyond most our musical experiences unless you are well into you 60s at this point. I did not start out loving this album by any means. In fact i always thought HENDRIX was fairly boring! However, there is something about these albums including this second one that has the power to burrow into the future and into my DNA that has infected me with admiration. True this is not technically as adept as what has come to develop over the decades that follow, but this was truly innovative at the time and if the listener simply resonates with the music, it will surely reveal its time period prowess and charm with merely a few attentive and open-minded listens. I now regard this album as much as a brilliant masterpiece as the debut. The musical elements sewn together with the concepts are outstanding and considering this was a trio makes it all the more impressive. It was the end of the 1960s, and who better to play the decade out than Jimi Hendrix? 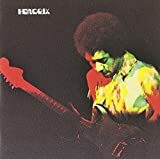 Band of Gypsys consists of original songs trimmed from Hendrix's new blues-soul-rock combo in their gigs at the Fillmore East on New Year's Eve 1969 and New Year's Day 1970, giving the album a good claim to be both the last one recorded in one decade and the first recorded in the next. But musically speaking, it's a deliberate back-to-basics attempt, laying down heavily blues- influenced tracks and toning down Hendrix's usual experimental edge (which he was still indulging in the studio, as can be heard on the First Rays of the New Rising Sun album). Pretty good stuff, perhaps not very psychedelic, but still important as a means of capturing a side of Hendrix's music we have precious little record of. The Jimi Hendrix Experience's final album captures the band just at the moment it disintegrated - when Jimi's soaring ambitions finally reached the point where Noel and Mitch simply couldn't keep up any more. Nowhere is this more obvious than on Noel's sole composition on the album, "Little Miss Strange" - an unambitious slice of 60s pop which shows absolutely no songwriting progress or development over "She's So Fine" on Axis: Bold as Love. But even as the structure of the trio disintegrates before your very ears, wonderful things come out of the cracks. 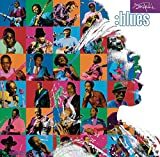 The epic "Voodoo Chile", a sprawling improvisation encompassing a whole range of blues styles, doesn't even feature Redding on it - Mitch is still on drums, but Jefferson Airplane's Jack Casady is on bass, and Steve Winwood guests on organ. 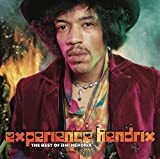 The album also sees Hendrix moving away from the songwriting approach that dominated his first two albums and going for increasingly long songs, no longer content to confine his ideas to brief two-to-three minute bursts. It's not that he's forgotten how to produce fast-paced and punchy short tracks - this album includes Crosstown Traffic, one of Hendrix's best songs in that style - it's just that he's less interested in it. This does mean that some of the shorter songs on the album aren't quite up to the standards of the epics - Long Hot Summer Night seems kind of shallow, and the cover of Come On (Let the Good Times Roll) is a bit of fun but doesn't strive to be much more than a bit of fun. Whilst Mitch seems game for this new direction, Noel isn't featured on either of the album's big epics (Voodoo Chile and 1983...A Merman I Should Turn To Be), both of which result from jam sessions which Noel wasn't sitting in on. But that isn't to say that the epics on the album aren't the only attraction, or that Noel isn't a presence at all - songs like Voodoo Child (Slight Return) (a heavy, proto-metallic summarisation of Voodoo Chile), and the awe-inspiring and definitive cover of Dylan's All Along the Watchtower show the trio in full flight. But it was more than clear at this point that Jimi not only didn't need the trio structure any more, he positively needed to branch out and experiment with other artists and band configurations in order to give full expression to his many ideas. The album isn't perfect - again, Little Miss Strange just doesn't seem to belong - but as far as a swansong for the Experience goes, it's a truly fine one. Rush-recorded to fulfil contractural commitments, the second album by the Experience remains a credible and respectable addition to their discography. Spanish Castle Magic, Wait Until Tomorrow and Ain't No Telling are three of the Experience's best fast tracks lined up one after the other, before the album slows up with the soft lament of Little Wing offering a little calm before the crunchy psych-blues of If 6 Was 9. Side Two is just as strong. Castles Made of Sand is one of the saddest and most haunting songs Hendrix would ever compose, whilst Bold as Love is a fine, fine album closer. Noel Redding even gets a chance to sing lead on his own composition, She's So Fine, which takes a typical 60s pop lyric and has the Experience absolutely go to town on it in one of the heaviest pure love songs of the 60s. What's amazing about Hendrix's music is how complex it manages to be whilst, at the same time, so incredibly loud and energetic - it's proof that you can play cutting-edge psychedelia without toning down the rock. No JIMI HENDRIX movie reviews posted yet.